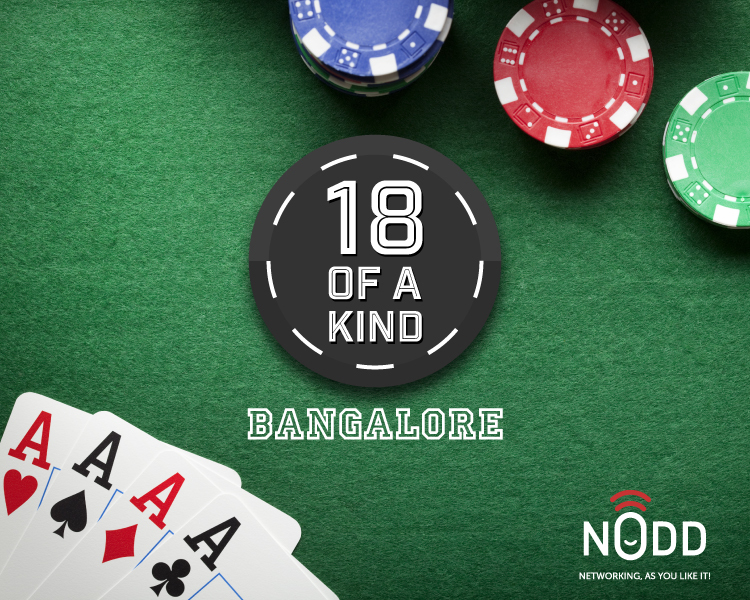 Network with Entrepreneurs, corporate professionals, and business owners, over a game of Poker. Come test your poker skills in an invite only Texas – Hold'em Poker night. You will be sitting alongside Entrepreneurs, CXOs, corporate heads and investors and have the chance to build relationships with them over a shared love of poker. Exchange ideas, share experiences and explore synergies over cards and food with this curated audience. 36 people will be playing on 6 tables. Before the start of the games, an expert will teach you heuristics to estimate your probability of winning, betting strategies, tips on how to read your opponent and other skills to take your game to the next level.